Left to its own devices these last few years, jazz musette Strikes Back! 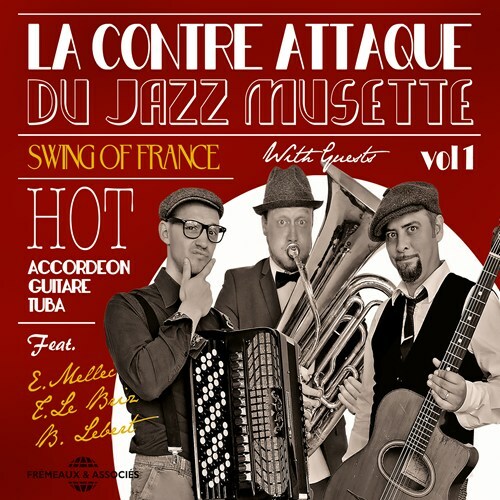 The Swing of France trio have not only inherited the swing waltzes of Tony Murena, Gus Viseur and Jo Privat: they also perpetuate the legacy of the “Paris Musette” collective that put the squeeze-box back in the spotlight some 30 years ago. The trio shows great brio in reviving the melodic force of this universal music, warm, sophisticated… and commonly known as “the Paris blues." The public had forgotten jazz musette, but Swing of France is striking back, and conquest of the galaxy is near! If you like V1: LA CONTRE ATTAQUE, please tell your friends! You can easily share this page directly on Facebook, Twitter and via e-mail below.